Kids love the colors and activity centers, and parents love the neat and clean organization systems. 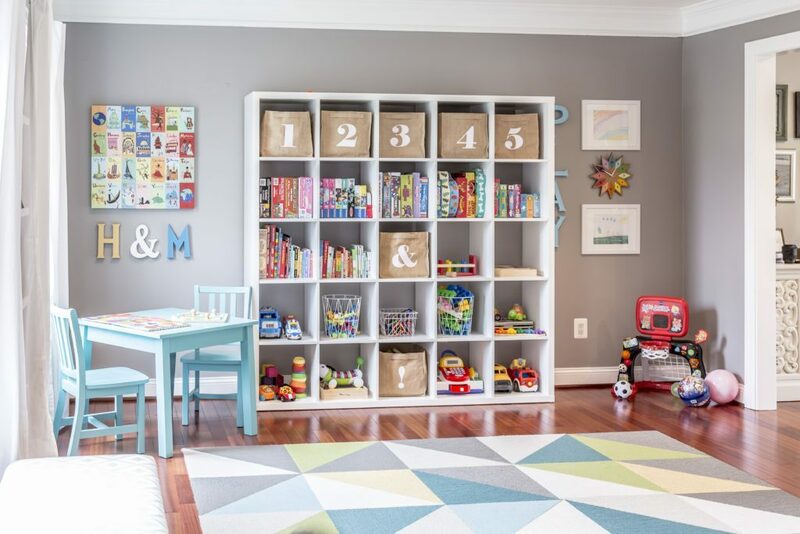 It’s no surprise that this Bright and Bold Modern Playroom by Kate Dreyer is a project gallery crowd favorite. Personally, I fall faint at the sight of a neat and clean IKEA Kallax and a set of book ledges. 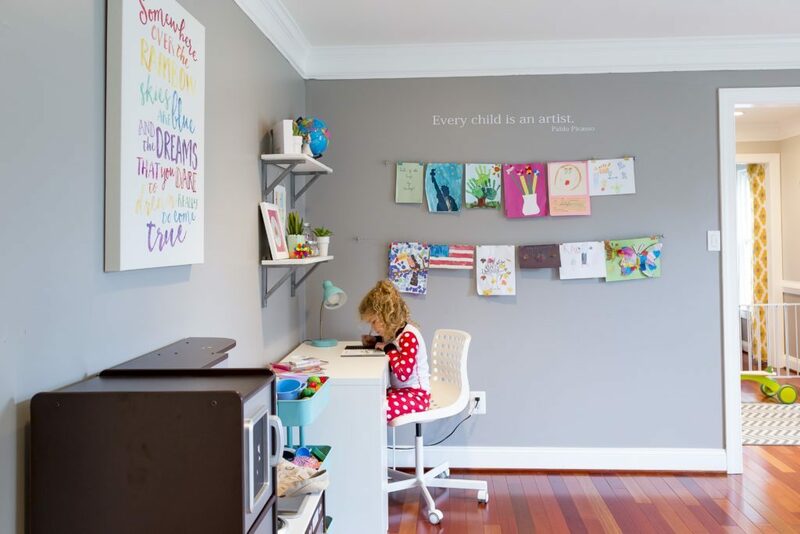 What details have you inspired to whip your playroom into shape? Visit our Project Gallery to view more pictures and see the sources for this Bright and Bold Modern Playroom. We love seeing our readers’ spaces! Show us your nursery, kid rooms, baby showers and birthday parties. Upload your photos to our Project Gallery and you could be our next Readers’ Favorite!